The ablution room, a space typically used by Muslims for cleansing rituals before prayer, was found desecrated on April 4 in the Claudia Nance Rollins Building./ Forrest Martin, Assistant Photo Editor. 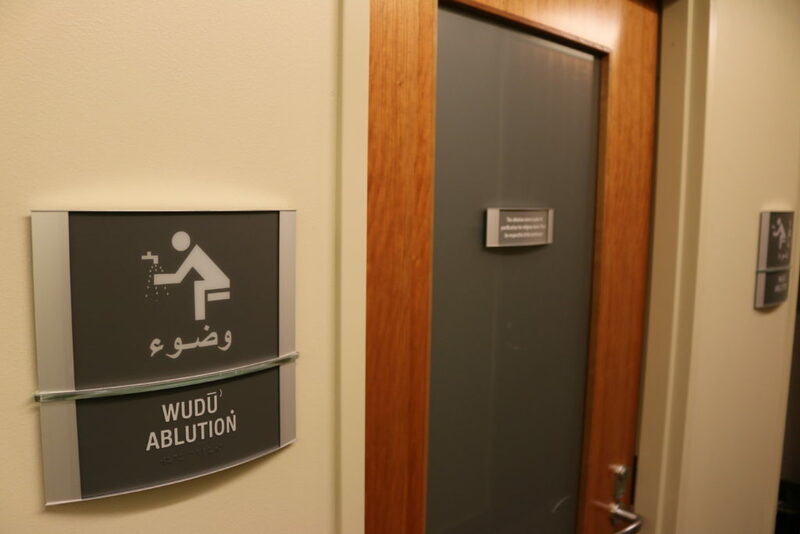 The ablution room, a space typically used by Muslims for cleansing rituals before prayer, was found desecrated on April 4 in the Claudia Nance Rollins Building. Dean of Rollins School of Public Health James Curran sent a school-wide email on April 5 explaining the situation. The room has been cleaned and disinfected but Curran did not specify how the space was desecrated. Curran wrote in the email that the incident was reported by a student and that Emory Police Department (EPD) is currently conducting an investigation into the matter. EPD Records Manager Ed Shoemaker declined on Tuesday to share an incident report with the Wheel. University President Claire E. Sterk did not confirm that the incident was charged by anti-Muslim sentiment but that Islamophobia will not be tolerated at Emory. Alexa Cleveland (17Ox, 19B) said she believed the email should have been sent to the entire University. Cleveland said she only heard about the email through a black students group chat and posted a screenshot of the email to her Facebook feed. Cleveland called the incident a “hate crime” and that Emory did a poor job of handling the situation. Angela Jiang (19C) said that she was shocked by the incident.